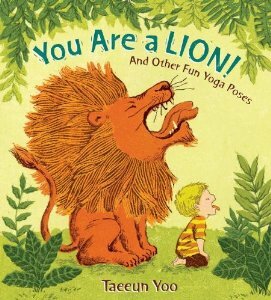 You Are A Lion and Other Fun Yoga Poses by Taeeun Yoo. A sweet, Illustrated book that introduces young children to animal-inspired Yoga poses. Along with the name of the Yoga pose, a small child is shown holding each pose. Turning the page we see the lions, cats, frogs, dogs, and butterflies, in poses named after them. Hardbound copies are available at Amazon, for $14.92, or borrow one from your local library. WHAT IS SELF MYOFACIAL RELEASE? You might have never heard of self myofacial release, (SMR) but maybe you’ve seen white, blue or black foam rollers at your local gym, and wondered what they were. 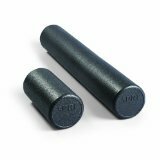 Personal trainers, and physical therapists recommend roam roller SMR to improve flexibility, relieve muscle pain, and avoid injury. The roller is used to release adhesions in order to restore flexibility. They’re an easy, inexpensive method of pressure point, deep tissue massage. Simply place the roller over an adhesion by sitting, or leaning over the roller for 30 to 90 seconds, or less, depending on tolerance. Foam rollers are used to help release trigger points, that inhibit your flexibility potential. Trigger points are painful spots located in muscle that are caused by trauma. These inelastic spots are also called adhesions, or knots. Rollers are a must for athletes, especially runners who need to break down soft tissue adhesions, improve flexibility, and range of motion in hamstrings, IT Band, and calves. Foam rollers come in a variety of sizes and density. Some are softer, while others are more firm. Length sizes range in inches from 36, 24, 18, and 12. Most rollers are 6 inches deep. 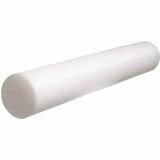 Amazon.com has a wide selection of foam rollers, and a handy chart explaining how to buy them. 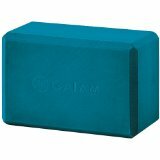 Yoga blocks are made from durable, scratch-resistant, lightweight foam, and are shaped like rectangles with rounded edges. The blocks measure 9″ wide by 6″ high by 4″ deep, and come in multiple colors, with prices ranging from $9.00 to $12.00. Prevents struggling, and makes your practice more enjoyable. Safely supports and modifies poses. Brings the floor closer to you. Provides stability, and extra height. Braces your weight, and keeps you balanced. Who Benefits From Using Blocks? Anyone with tight muscles, or injuries. Under your hand in Trikonasa (Triangle Pose), and in Arda Chandrasana (Half Moon Pose). Under your feet or low back in Setu Bandasana Sarvangasana (Bridge Pose). Sitting on a block in Gomukhasana (Cow Face Pose), and Virasana (Hero Pose). Under your head when there is excessive arching of your neck in supine poses, as in Ananda Balasana (Happy Baby Pose). Can’t reach the mat in Uttanasana (Standing Forward Bend)? You need a block under each hand. 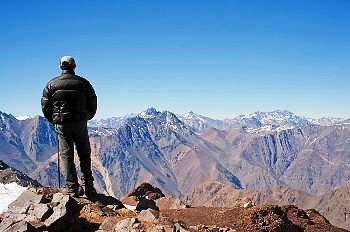 Using your fingertips instead of the palms of your hands? Use a block under your hand. Is your front knee bending in Parivritta Trikonasana (Revolved Triangle)? Use a block under your hand. Do your feet hurt in Virasana (Hero Pose)? Sit on a block. There are many internet sites where you buy Yoga blocks. Three are listed below. These companies also sell a full line of Yoga clothing and equipment.